Hair Design Zone opened yesterday at Rockville Town Square. The hair salon replaces Hair Cuttery, but no one will confuse the two. 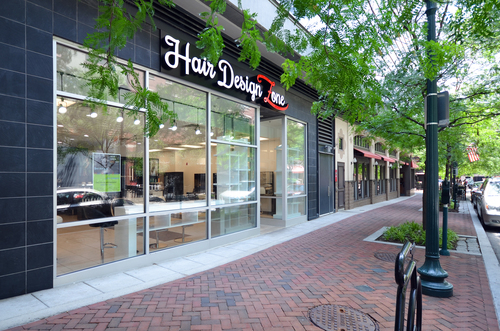 As I previously reported, owner Juan Ma is bringing her experience from top salons in Japan to Rockville. Serving both male and female clients, HDZ offers popular salon products, but also a full line of Japan's premiere Milbon brand. Something else you won't find at your typical neighborhood salon - kimono dressing. Visit their website for a full list of services, products and prices.